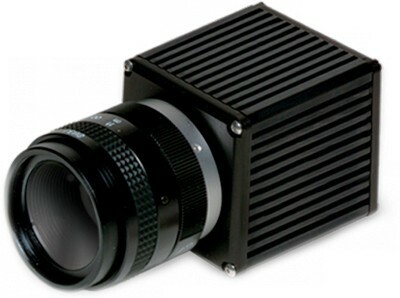 The compact InGaAs snapshot video cameras feature capture of images from pulsed events or moving objects within one frame. The 320KTS-1.7RT provides high response from 0.9 μm to 1.7 μm and the SU320KTSVis-1.7RT extends the response into the visible wavelengths, running from 0.4 μm to 1.7 μm. These cameras are easy to use due to Automatic Gain Control (AGC), image enhancement, and built-in non-uniformity corrections (NUCs). Camera configurations include eight corrected modes with variable integration time and constant gain for pulsed work over a range of ambient light levels; and eight corrected modes with variable gain at 16 ms integration time to provide the user with accurate steps of 2 over a wide dynamic range. * λ = 1.55 µm, exposure time = 16.57 ms, no lens, digital gain x 1 with AGC and corrections off, measured in operational setting of the camera with the smallest FPA gain.